David Ulrich is Professor of Business at the Ross School of Business, University of Michigan and the Co-Director of Michigan’s Human Resource Executive Program. His teaching and research address the question: How do people create organizations that add value to customers? Dave Ulrich studies how organizations change, build capabilities, learn, remove boundaries and leverage human resources activities. Professor Ulrich also studies organization capabilities of talent, speed, collaboration, accountability, and leadership. He has helped generate multiple award winning data bases that assess alignment between strategies, human resource practices and HR competencies. Dave Ulrich has been ranked the “#1 Management Educator & Guru” by BusinessWeek, selected by Fast Company as one of the “10 Most Innovative and Creative Leaders”, and named “The Most Influential Person in HR” by HR Magazine for three years. 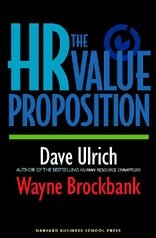 Dave Ulrich has written over a dozen books covering topics in HR and Leadership including Tomorrow’s (HR) Management, Human Resource Champions, Results Based Leadership, The Leadership Code and HR Transformation: Building Human Resources from the Outside In. David Ulrich’s work has received multiple awards connected with his expertise and breadth of knowledge concerning the correlation between strategies, HR practices, and HR competencies of organizations. Dave Ulrich emphasizes defining organizations through the capabilities they possess. His work has helped define and shape key capabilities such as change, learning, collaboration, accountability, talent, service, innovation, and efficiency. The outcomes of leadership and HR are the capabilities that an organization possesses that deliver value to customers, investors, and communities. Although he has been involved in large-scale research projects, Dave Ulrich’s presentations are characterized by synthesizing complex ideas into frameworks and tools that executives can use. David Ulrich is a well-traveled speaker, working with groups of all sizes where he is known for engaging the participants, helping to translate the ideas into actions that work for them. His motto is that good teaching is not what he knows, but how his knowledge helps participants do what they do better. Dave Ulrich is currently on the Board of Directors for Herman Miller, is a Fellow in the National Academy of Human Resources, and is on the Board of Trustees of Southern Virginia University. Every two years, the RBL Group co-sponsors (with Hewitt) the Top Companies for Leaders study that is published in Fortune magazine. The results are tabulated for global and regional companies. What’s different about the companies that are recognized for building the best leaders in the world? Many of the most significant management and social problems derive less from a crisis of talent than from a crisis of ethics. The ethics of leadership is the critical factor that inspires trust and loyalty in employees and customers. We must develop the ability to recognize the unanticipated ethical implications of all management decisions and actions. Market value is comprised of two parts--earnings and intangibles. Intangible value is the confidence that investors have in your business compared to other businesses in the same industry. Learn the four steps that guide wealth-creating leaders as they increase stakeholder confidence in the future. Ultimately, your ability to lead others begins with yourself. What does it mean to be prepared to lead? Leaders who are grounded in their values and beliefs, emotionally mature in their knowledge of themselves and their response to changing circumstances, curious and eager to learn and improve, and able to nurture themselves while maintaining a passion for what they do are able to inspire others to greater effectiveness. Building individual resources for personal proficiency is critical for overall leadership effectiveness. Leadership Brand occurs when an organization is recognized both internally and externally as a leader feeder firm- an exporter of talent. Market share increases because investors have confidence that current and future results will be achieved the right way. When a company has leadership brand leaders at every level ensure that employees deliver the desired customer experience every time anywhere in the world. If you Google the word "leader" there are 176 million hits. What does it all mean? Why are there so many conflicting theories about what effective leaders must do? The Leadership Code synthesizes years of research to build a unified theory of leadership, and explains 60-70% of what makes a leader in any company or industry effective. Leaders must develop in specific ways as they move through the leadership pipeline. Promoting the best technical expert to a management role often results in “losing a good engineer (or sales person, or IT contributor, or whatever) and getting a lousy manager.” Learn what skills, knowledge, and perspectives must shift as leaders move through the pipeline. Much of current leadership practice is focused on developing leadership competencies. In Results-Based Leadership we argue that this is half right. The other half of effective leadership is delivering the right results to organization stakeholders such as employees, customers, investors, and line leaders. For the last fifty years, leadership has been framed as how the individual leader builds the right mix of competencies to implement strategy. We see two trends for the next steps in leadership. The first trend is to consider both individual and organizational issues-- we need individual leaders and we also need an organization capability to build future leadership. The second trend is the need to deliver on both internal and external issues. Leaders must execute business strategy (internal), and they also must create investor and customer confidence in the future (external). The intersection of these trends-- building an organization capability that creates confidence in external stakeholders--is what we call Leadership Brand. For the past 20 years, RBL principals--together with the support of the University of Michigan and HR associations around the world--have studied HR professional and leadership competence. 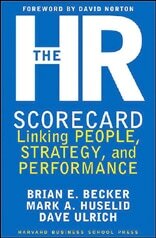 What are the competencies of top performing HR professionals and leaders? And what are the practices that deliver top performance and development? Talent management is the issue of the next decade. But it′s not as simple as the finding and retaining of high potential employees. RBL research points out that great companies like GE, P&G, and United Technologies get 10 things right in building superior talent engines and the reputation that makes them magnets for talent. In strategy implementation it’s critical to know what are the true wealth-creating positions that must be in place for growth and profitability. High performing organizations know their “A” positions not only their “A” players. The RBL Group has a global vantage point from which to assess key trends and developments in HR strategy, priority, and professionalism. How are CEO expectations changing? And how are the most innovative HR leaders changing the practice of human resource management? What does great HR business partnership look like? What do HR business partners do differently? RBL has focused considerable attention on the skills and behavior that define and differentiate outstanding HR business partners, and developed a very clear framework for both assessment and developing business partner competence. We see the role of HR as creating value for the business and helping business leaders convert customer expectations into employee actions. How do the best HR departments do this? What practices make the difference in ensuring that HR is an essential and powerful contributor to the achievement of business strategy? What is the best process for transforming HR? In our new book, RBL principals lay out a disciplined approach to ensuring that the HR department creates the greatest possible value to business performance, defines clear goals and roles, and manages the change process effectively and efficiently. Some measurements are easy: cost, number of people who receive training, process improvements, and how quickly problems are resolved. But these measures don’t tell us whether HR is making a strategic contribution. How do you assess the impact of HR on the real bottom line: growth, profitability, and satisfying customers?